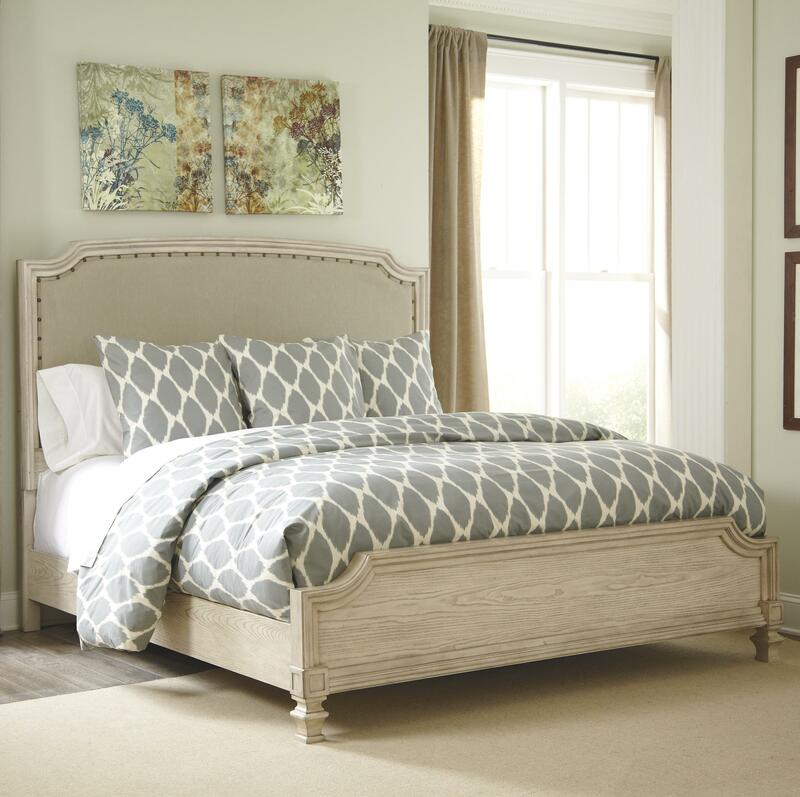 Vintage style meets romantic cottage design with this upholstered panel bed. 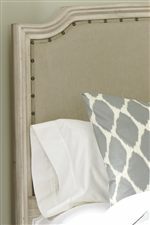 The center upholstered panel on the headboard is a neutral textured taupe-gray beige color with accent nail head trim. 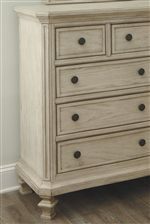 The bed features a gently distressed vintage parchment white finish over select oak veneer and hardwood solids. Heavy trim molding trim on the headboard and footboard complete the look of this bed. The Demarlos King Upholstered Panel Bed by Signature Design by Ashley at Miskelly Furniture in the Jackson, Pearl, Madison, Ridgeland, Flowood Mississippi area. Product availability may vary. Contact us for the most current availability on this product.